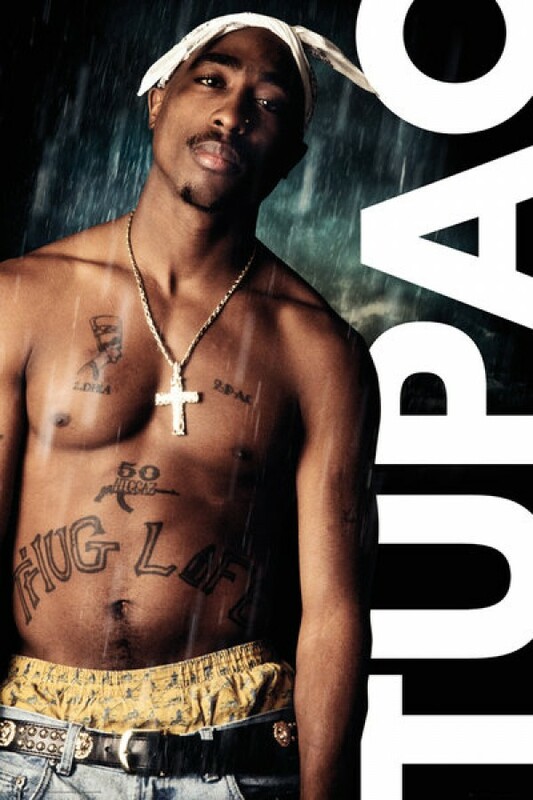 Music posters - 2Pac posters: Full colour Tupac poster featuring the legendary rapper in classic pose, standing in the rain, wearing a large cross on a necklace. 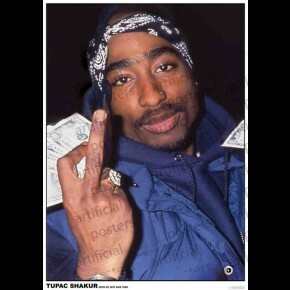 Tupac Shakur was murdered in September 1996. Official 2Pac poster.